What’s So Special About Chapter 13? Whenever I mention Chapter 13, I get looks of horror from clients and people listening to talks I give about financial stress. Chapter 13 is a repayment plan of 3-5 years and many seem to think that it is the end of the world, so I decided to do a blog post about how powerful Chapter 13 really can be in the right situation. Why declare bankruptcy if I have to pay it back?? 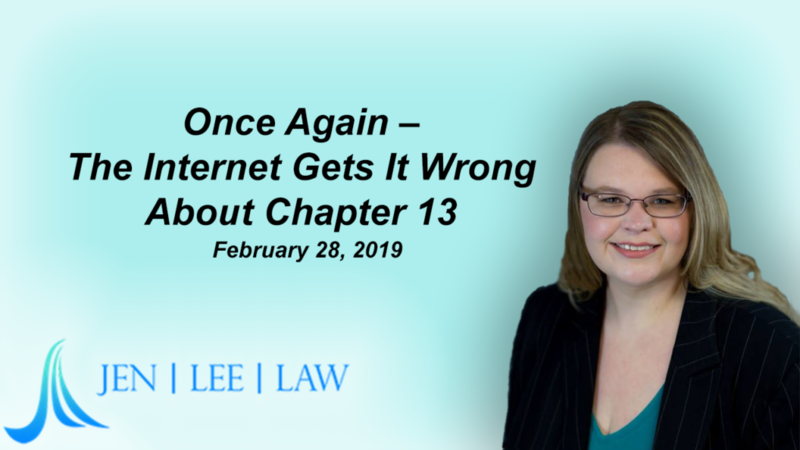 The first thing that is totally misunderstood or misrepresented about Chapter 13 is that you have to pay back everything you owe. While that may be true if you have a lot of equity in your house or other assets, Chapter 13 often results in a very low payment to unsecured debts like credit cards. In fact, many cases pay back 0% to credit cards. However, Chapter 13’s power comes in being able to pay back other debts (like taxes or mortgage arrears), relieving the pressure of minimum payments, and restructuring what you have so that you come out of the payment plan with a fresh start. Isn’t debt settlement a better option? Yes, debt settlement is a better option…for debt settlement companies. I always explain to clients that Chapter 13 IS debt settlement, but with a court order. 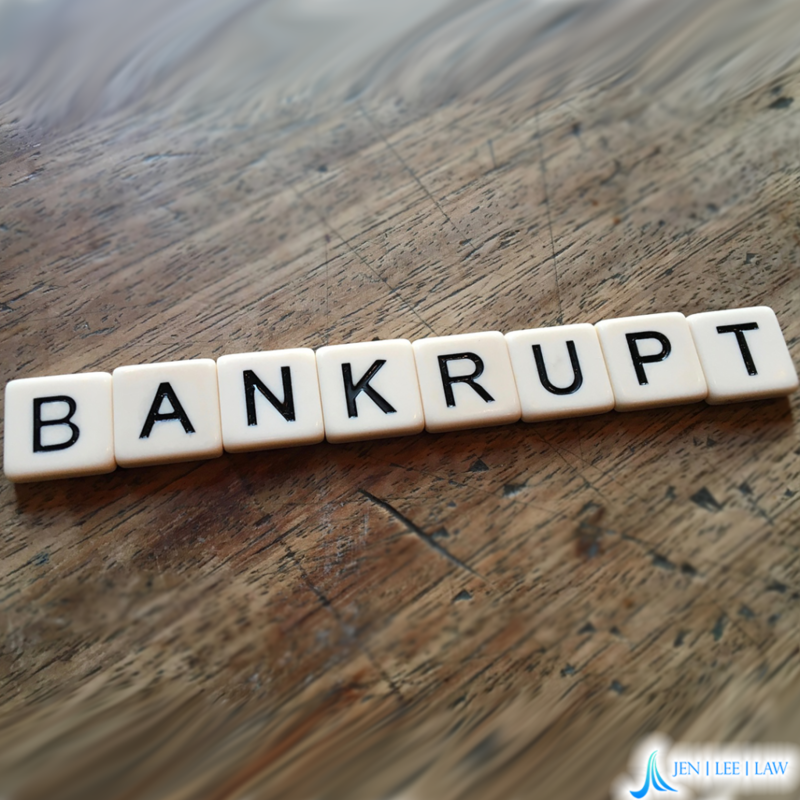 There is little to no negotiation and the court reviews everything to make sure that creditors are getting what they are legally entitled to under the bankruptcy law. Again, that often means that your credit card companies get a small percentage of what they would under a debt settlement agreement. But, my credit is ruined for 10 years and I can’t buy a house for 10 years! Wrong. You can actually buy a house while in Chapter 13. If someone offered you a deal that you could be out of debt in 5 years, buy a new house, and have a 700 credit score (or higher) if you agree to make a monthly payment on time each month, would you say no or that it is a horrible idea? Not that Chapter 13 is all fun and games, but it’s a viable tool for getting a fresh start, clearing debt, and restructuring. Aren’t the only people filing for Chapter 13 bad with finances? Nope. One of the analogies I often use is that business owners and successful individuals do not have a problem using the laws as needed to get the best deal, whether it is tax planning, estate planning, or yes, even bankruptcy. There seems to be this idea in more middle-class populations that using laws to our advantage is somehow taboo and even unethical. Whether you are bad at finances or not, understanding the rights and options available to you is a smart move. Please note that I’m not encouraging people to run out and file bankruptcy for the fun of it. My point is that sometimes the smartest move is to get back on track and avoid the possibility of being homeless before the financial stress of the situation causes bigger problems. So, this post was written a little tongue-in-cheek. I find that there is so much misinformation about what Chapter 13 is, what it can do, and why it’s often a good thing, that I tend to get a bit sarcastic. However, while Chapter 13 isn’t always a fun idea, it can often be life-saving, marriage-saving, and the fresh start that people need to move forward.